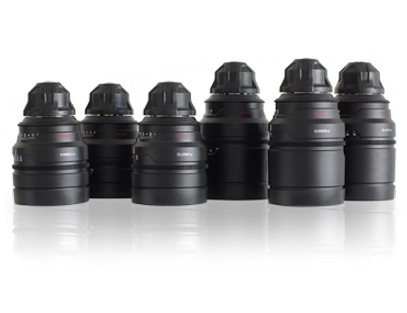 The set of RED cinema prime lenses includes 18mm, 25mm, 35mm, 50mm, 85mm and 100mm. The set is all T1.8 and have excellent characteristics. We also have the RED Pro Prime 300mm and the RED 18-85mm zoom as well. Multiple sets available for rent.